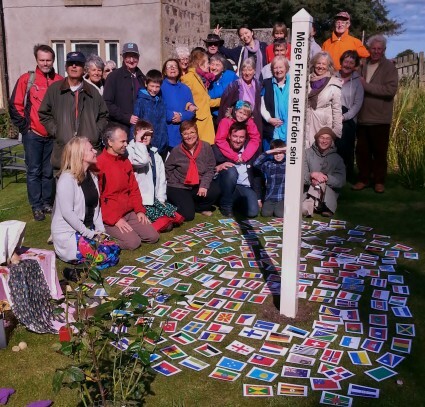 We planted our Peace Pole on Sunday 13th September 2015 at our home supported by 30 guests of all ages, from 8 – 80+. It is approx 2 metres above ground. The message languages are: English, Scottish Gaelic, German and Japanese. “May Peace Be In All” was specially written for us and performed by friend and artist, Phyllida Anam-Aire. 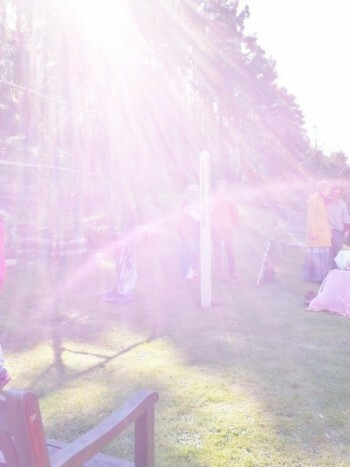 In one of the photographs it looks as if a rainbow is crossing the Peace Pole so I have included that. The couple are myself and husband Don. 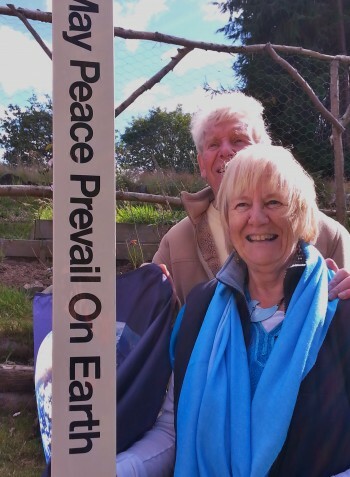 We would be happy for people to visit the Peace Pole.